Are You Guilty of Paternalism in Your Approach to Patient Care? In chiropractic, unlike other professions, there seems to be confusion about the purpose of research. Many think it is to prove chiropractic works, to help us get reimbursed, or to help us build our practices. The purpose of research, a method used by science, is to expand our knowledge; science is just an epistemological theory, a theory about how to gain knowledge. There are other epistemological theories that were popular in other cultures and times, but generally in the West, the empirical method of science is paramount. While it is true that in the end, research might improve our ability to get reimbursed or might even help build our practices, those benefits are secondary side effects of the research endeavor, not the primary purpose. When conducting research, our primary job is to test a hypothesis by asking questions, making observations, and then analyzing the results to see if our hypothesis requires revision. Research should never be seen as a way to prove anything, for if our intent is to prove something, what happens if the data from our research disproves our hypothesis? A fundamental feature of scientific research is the unpredictable nature of what you find using the experimental method, for if you absolutely knew that your hypothesis was an infallible truth, why would you even bother to perform research to test the viability of that hypothesis? Absolute truths do not need to be tested by the experimental method, only questionable hypotheses that require validation. This means that any theory or hypothesis - for instance, that the subluxation is a significant cause of disease - must be capable of being shown to be false. If there is no potential for the theory to be discredited, it shouldn't be researched in the first place. And any researcher who believes that his or her theory can't fail to be substantiated may very well be suspected of falsifying his or her research. The Nuremburg Code was developed after the Nuremburg Military Tribunals exposed the horrific so-called "scientific" experiments the Nazis performed on inmates in the death camps. One of the principles in the code is: "The experiment should be such as to yield fruitful results for the good of society, unprocurable by other methods or means of study, and not random and unnecessary in nature." Recruiting people to be subjects in a research study that is so completely biased by having a theory which has no potential of yielding undesirable results, with the sole intent to prove the theory, is unethical because it is unnecessary. Ignorance, deliberate or naïve, as to the purpose of research has been a problem in chiropractic in the past. Some readers may not remember the unprincipled and disgraceful Vertebral Subluxation Research Institute (VSRI), the purpose of which seemed to be little more than a method to recruit patients under the guise of being research subjects. Such a bait-and-switch operation, while lauded by those involved in the veil of deceit upon which it was founded, was transparent to many within and outside the profession. In the end, not one single scientific paper of any import was ever published from this "research institute." (Only one paper has been published that we can find by searching MANTIS and PubMed for the names of the researchers involved in the project, Drs. Nienstedt and Hecht: Nienstedt B. Correlations between demographic factors in patients with vertebral subluxation. J Chiropr Res 1989;2:52-4). To quote the late President Reagan, "There you go again." The newest iteration of the research - aka marketing scheme for chiropractic - is called Research & Clinical Science (RCS). The purpose of RCS, according to its own materials, is to both "prove" chiropractic and to help doctors get "a flood of new patients while enhancing the doctor's credibility and prestige." 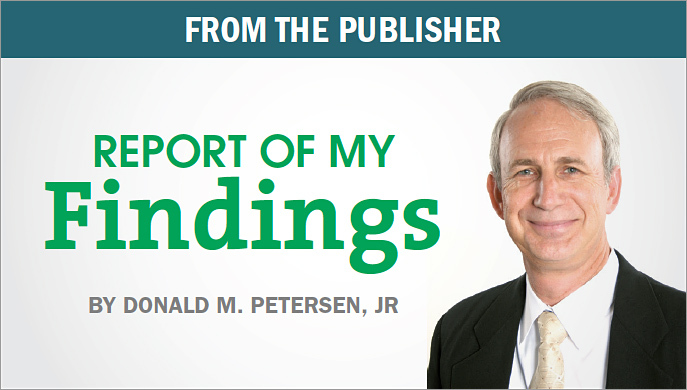 Dr. David Jackson, one of the principals in RCS, says in an article on its Web site "I cannot emphasize strongly enough that RCS' primary mission is to prove that chiropractic has [a] positive impact on just about every aspect of health and wellness." He further states, "To put criticisms [about chiropractic] to rest, completely and forever, we need to conduct and disseminate credible, evidence-based health outcomes research that thoroughly and scientifically explores the relationship between chiropractic care, subluxation and wellness." Jackson also writes, "The RCS program brings hundreds - possibly thousands - of people into your office The RCS program will help you stop the 'revolving door' syndrome and transform many of your patients into long-term chiropractic wellness supporters." This purported relationship between regular chiropractic care, subluxation and wellness is certainly a testable hypothesis or theory, but therein lays the inherent contradiction with the RCS program. In practically every advertisement and article about the program, there is no mention of this being a "testable hypothesis" with a level of uncertainty. Nor is there any discussion about the possibility that the research findings might discredit or undermine this hypothesis. Sounds biased to us. It makes you wonder how objective the researchers can be, when they appear to giving us the results of the research before the research is even performed! The promoters of the RCS program seem overly confident that their research findings can only "prove" their hypothesis. This clearly shows a lack of understanding about the fundamentals of scientific research on the part of these "investigators." No credible researcher would ever tout the positive impact of his or her research in advance, before the data was analyzed and the results were actually found to support the hypothesis in question. Let us get back to the primary purpose of research, which is to test a clinical hypothesis. As we mentioned earlier, there may be some legitimate secondary benefits of clinical research to those involved in such research efforts, such as a perception of increased prestige by patients toward the clinicians involved in research. However, in the RCS program, these secondary benefits are promoted as the primary reason for doctors to participate in the program. The primary reason for performing the research, to test the hypothesis that subluxation removal is associated with better health, does not seem to take up much space in the articles about this project. Those promoting the RCS project are not shy about making marketing statements showing doctors how they can personally benefit from this "research," such as, "It is estimated that most RCS research sites will generate between 10 and 25 new patients each month. This entire program can be leased for as little as $400/month." It is not uncommon for research volunteers to be paid a nominal fee for participation in a clinical trial or to be provided with free treatments or services. This is done as a way of encouraging participation by patients who might otherwise not elect to enroll in a research study. However, it is almost unheard of for clinicians to pay a "lease fee" for participation in a research study. This sets up an inherent potential conflict of interest, in which the participating clinician has a desire to recapture a return on his or her investment by providing additional billable services to research volunteers. We would challenge those involved with the RCS program to provide examples of any other major research institutions in which the researchers themselves are paying a fee to participate in such research. In fact, just the opposite is true: Most clinicians involved in research are paid for their time and effort out of research grant monies. Do not misread this. We do not believe that marketing one's practice is inherently wrong. However, we do believe that it is unethical to market one's practice by playing upon the altruism of people hoping to help their fellow humans by being research subjects, then using bait-and-switch tactics to convert them into long-term chiropractic patients. Marketing and clinical research are two completely different enterprises that do not blend together well. We strongly suggest that chiropractors who want to foster sound clinical chiropractic research make donations to the Foundation for Chiropractic Education and Research (FCER), which supports the scientific efforts of chiropractic researchers. The "leasing fee" of $400 per month for the RCS program would, in our opinion, have a far more positive impact on our profession if the doctor would commit this amount of money as a monthly donation to FCER. Click here for previous articles by Stephen M. Perle, DC, MS.
Dr. Michael Schneider is a 1982 graduate of Palmer College of Chiropractic and has been in private practice for 30 years. He obtained a PhD in rehabilitation science from the University of Pittsburgh in 2008, where he now works full-time as an assistant professor in the School of Health and Rehabilitation Sciences. Dr. Schneider is a founding member of the West Hartford Group, a chiropractic think-tank devoted to advancing the identity of chiropractors as primary spine care physicians.